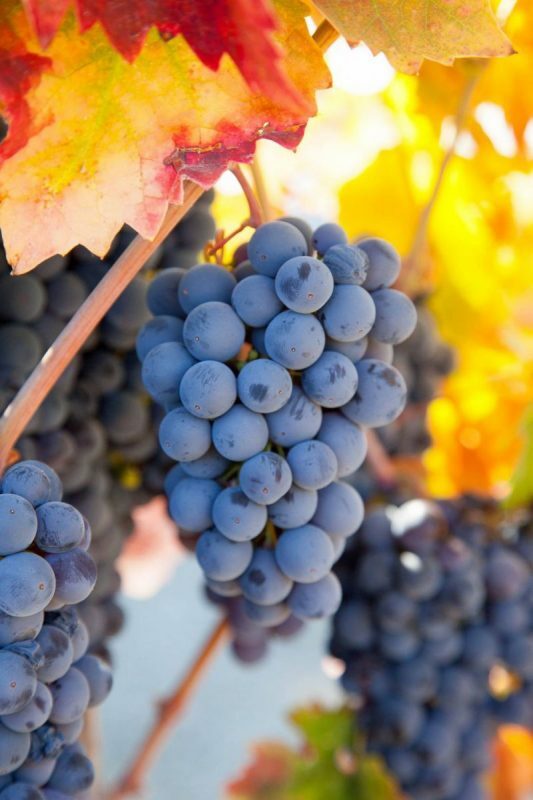 Brix is one of many technical terms used in winemaking. We thought that our readers might be interested in articles that explained some of these terms; especially as they are often used by the hosts at wineries. Brix is pronounced as Bricks. California Girl comments: During harvest time this term is the most important as it tells the winemakers when the grapes are ready to be picked. It’s all very scientific and chemical. They also these days look for the right level of PH. It is the combination of these two measurements that determine when the grapes are at perfect ripeness. Wikipedia defines Brix as the sugar concentration of an aqueous solution. Phrased more simply; it is a measurement of how much sugar is present in a liquid. The symbol for Brix is (ºBx). The measurement is named after Adolf Brix who invented the measurement in the nineteenth century. One degree of Brix is equivalent to one gram of sugar per one-hundred grammes of juice. Brix is an important measurement for winemakers, because sugar is a key component in fermentation. 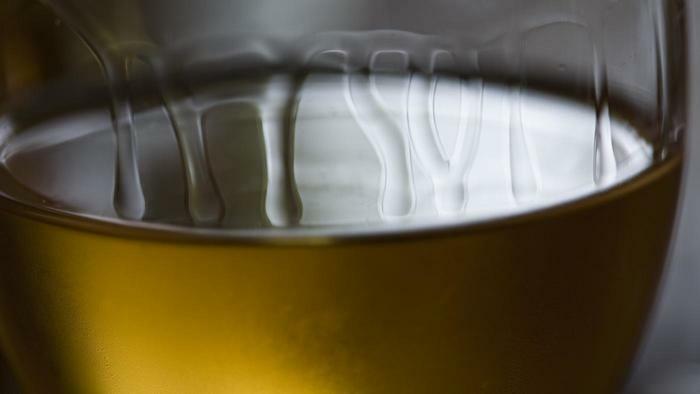 Fermentation is the process by which yeast turns sugar into alcohol. Fermentation ends either when all of the sugar has been consumed or when the alcohol reaches a level that poisons the yeast. If the grapes have too little sugar, you will not get enough alcohol. Too much sugar will result in a sweet wine, as the yeast will die before it converts all of the sugar. This latter result can be intentional if the desire is to create a sweet wine. During fermentation about fifty-five to sixty-four percent of sugar will be converted to alcohol. Therefore, grapes picked at twenty Brix will result in a wine of about eleven to thirteen percent alcohol. 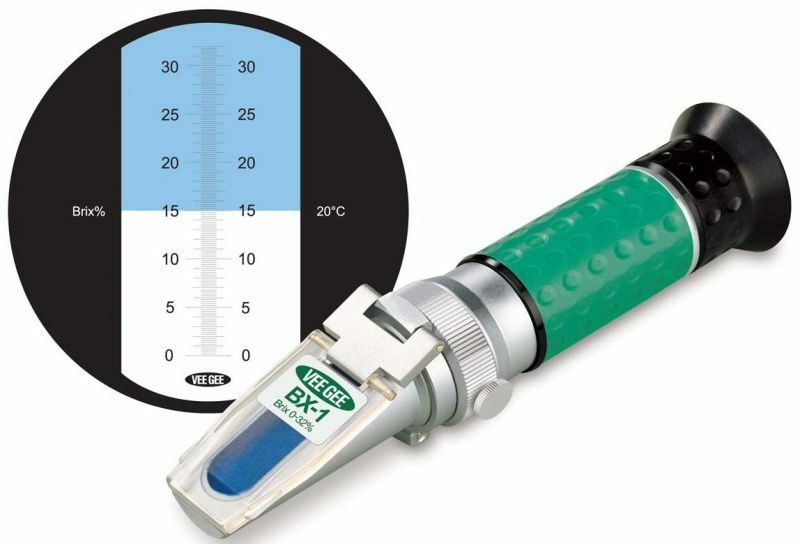 Brix can be measured using a device called a refractometer. Small, handheld versions of these devices are available that can be used in the vineyard. The device works by measuring the refraction of light through liquid. Light bends us it passes through a liquid. 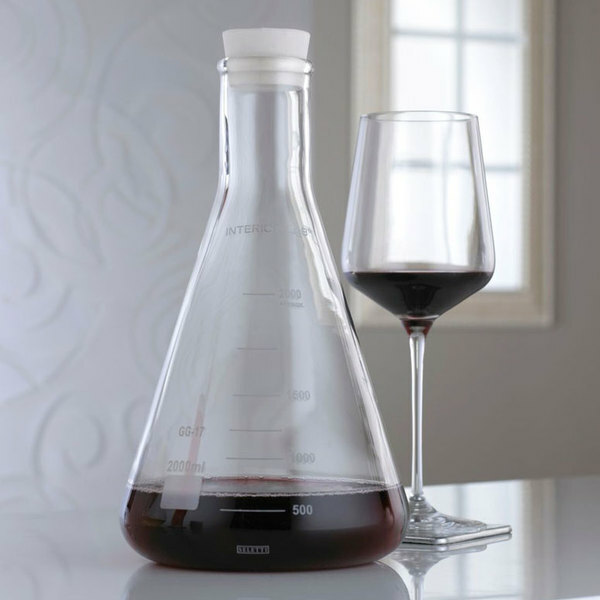 The amount of sugar present in grape juice changes the refraction and the refractometer measures this to provide a reading on the level of Brix present in the juice. A winemaker will place a few drops of juice from grapes in the vineyard, point the refractometer into the light and get a measurement. This enables the winemaker to know when the grapes are ready to pick. A detailed description of how to use a refractometer can be found on the grapestompers website. California Girl comments: All I care about at the end of the day is that the wine tastes good and that my glass is full. Right?